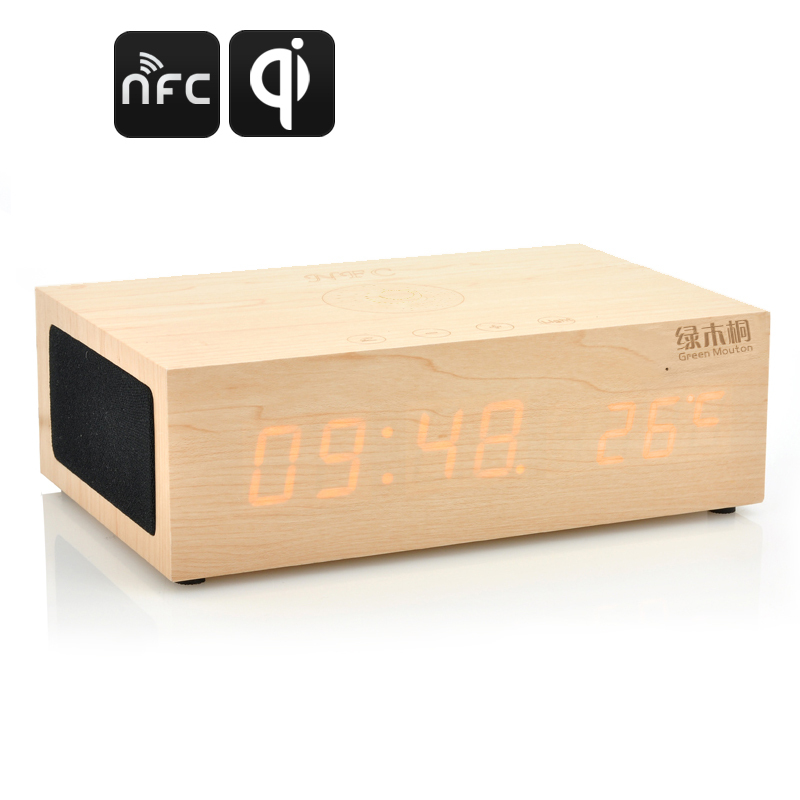 Successfully Added QiBox Wireless Qi Charging Wooden LED Clock - Bluetooth Speakers, Support NFC, Thermometer Function to your Shopping Cart. The all-new design Eco-friendly wooden LED Clock uses wireless Qi charging and has Bluetooth Speakers, Support NFC and a Thermometer Function. 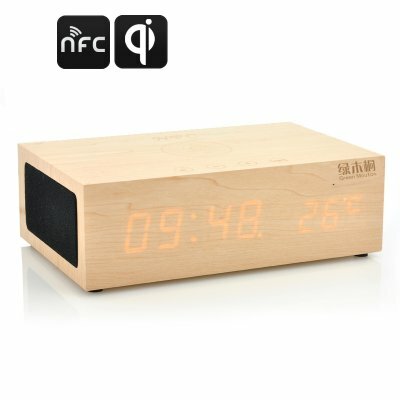 QiBox has a stunning design with a focus on creating an eco-friendly wooden box that acts as an LED clock display and thermometer while using ultrafast wireless charging, and also has a powerful Bluetooth speaker. With QiBox's stylish, eco-friendly wooden design, plus drop and go charging, you can charge your Qi-enabled phone without searching for and attaching cables and wires. Just simply place your QI enabled devices on top of QiBox for instant charging. Easily check the time and set alarms at home or in the office as there is a bright LED display in the front of QiBox plus it is also equipped with a built-in temperature sensor, so you can see how warm or cold it is before you get out of bed. Bluetooth, Thermometer, Qi Charging + More! Use your tablet or smartphone to stream wireless music by using Bluetooth or use the included AUX 3.5mm cable to connect to non-Bluetooth devices for music listening pleasure. 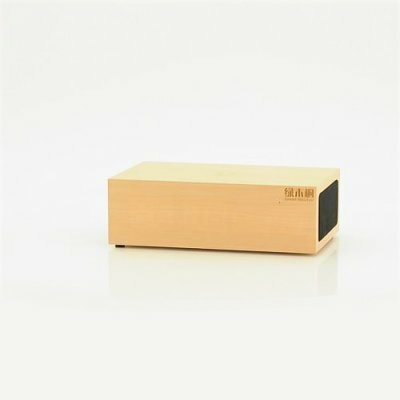 The QiBox employs Bluetooth v2.1+EDR with A2DP and AVRCP for high-fidelity audio transmission and control for up to 10 meters. In addition, QiBox also has a built-in microphone, as a result you can take calls on hands-free when paired with your phone. You can even increase or decrease the volume and brightness by touch buttons for true control. Going to bed will be a pleasure with this multifunctional wooden LED clock. Control: Touch control with button control.